There is a big fancy yearly contest going on at MFT Stamps. And there is nothing like that kind of contest to make you doubt yourself, hahaha. I’ve spent a couple of days just staring at the stamps wondering which to use and what to make with them. Then I coloured up a few various ones in matching colours before staring at them some more.. I decided mostly how I wanted my card on Friday, but didn’t get it finished before going away for the weekend. So now that I am home it is finally done. Colourful, cheerful and party is the look I went for. In pink and yellow. Oh, and loads of different type of animals to symbolise all the different kind of people that are your friends. I’ve decided to enter it into the colouring challenge. I have used stamps from loads of different stamp sets and coloured them in with Copics. (I will update this post tomorrow after work with the list of the stamp sets), stamping ink from MFT Stamps and Memento, Distress Oxide Inks for the background and kept the rest plain. This is so cute! 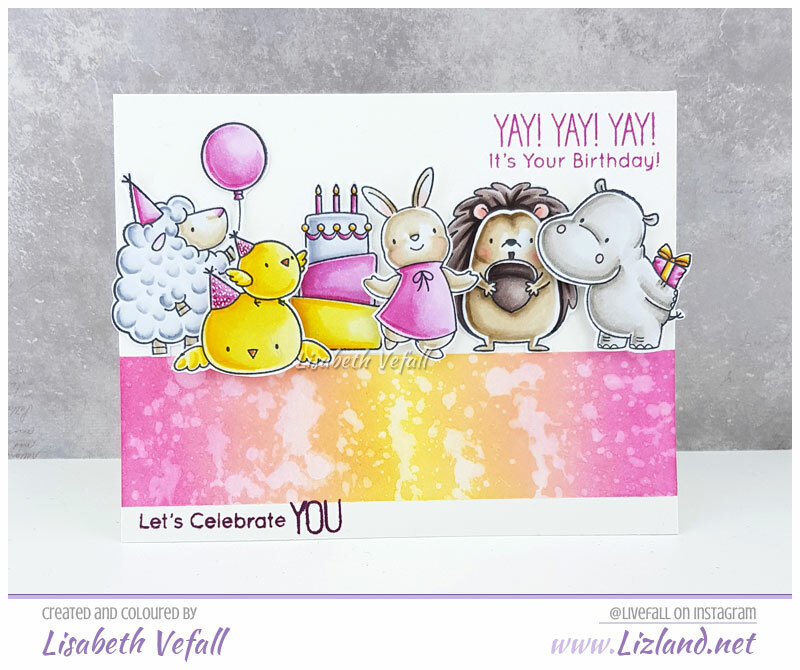 Love the bright colors and those happy critters! This is adorable! Thank you for joining in the Superstar Contest. What a cute scene! Thank you for joining in the Superstar Contest!